Twelve different Seawolves found the back of the net in the matchup, with sophomore midfielder Siobhan Rafferty and senior attacker Sara Moeller leading the offensive push for the team. Rafferty tallied four goals and Moeller added a goal and three assists to her stat sheet. 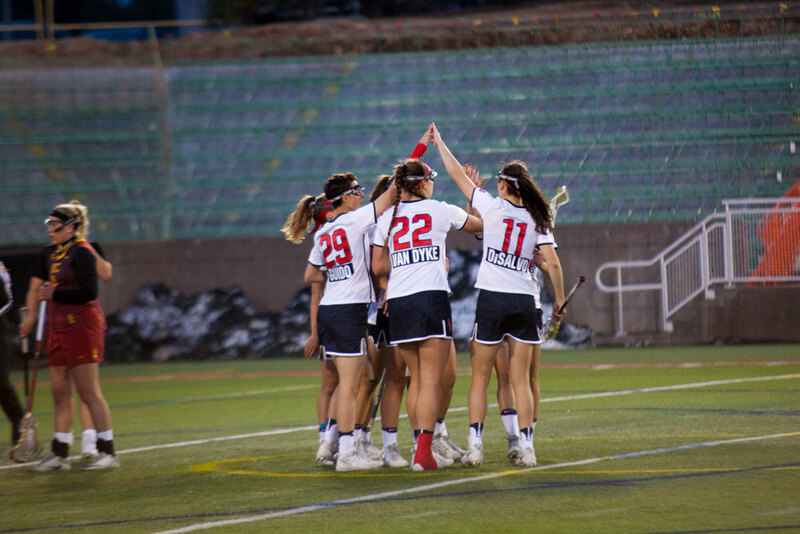 The Seawolves went into the locker room following the first half with a 16-1 lead after scoring their first 10 goals in the span of just over 14 minutes. Rafferty had completed her hat-trick within the first 13 minutes of the matchup. The team led the first half shot count 24-3, with 20 coming on net and nine forced River Hawks turnovers. The 16 goals scored is the most the team has scored since May 4 of last season in the America East Semifinals against New Hampshire when they scored 16 as well. The second half saw much of a relaxed pace of play from the Seawolves as they conceded their first goal just two minutes into the half. The River Hawks’ final goal of the game came just under eight minutes later when senior midfielder Kristina Keith notched her 24th goal of the season. The Hawks have three players who have 20 goals or more this season, including Keith, senior attacker Paige MacEachern and junior attacker Cameron McKelvin. Not in uniform for the Seawolves was junior attacker Taryn Ohlmiller, who is recovering from an ongoing knee injury on the same knee in which her ACL was torn last season. Following the dominating and convincing victory, Spallina believes his team is on track to get its groove back. Stony Brook looks to keep its momentum rolling as it takes on the Hartford Hawks at Kenneth P. LaValle Stadium on Wednesday, April 3. Faceoff is scheduled for 6 p.m.